About the Club We are a mixed club with members residing in both Fife and Edinburgh areas. We share cars to travel for games at Kinross, Murrayfield and Kirkcaldy. We play internal club games on Sunday mornings and also compete in evening and midweek leagues. We play numerous friendlies against neighbouring clubs. We play a mix of fun and serious games. 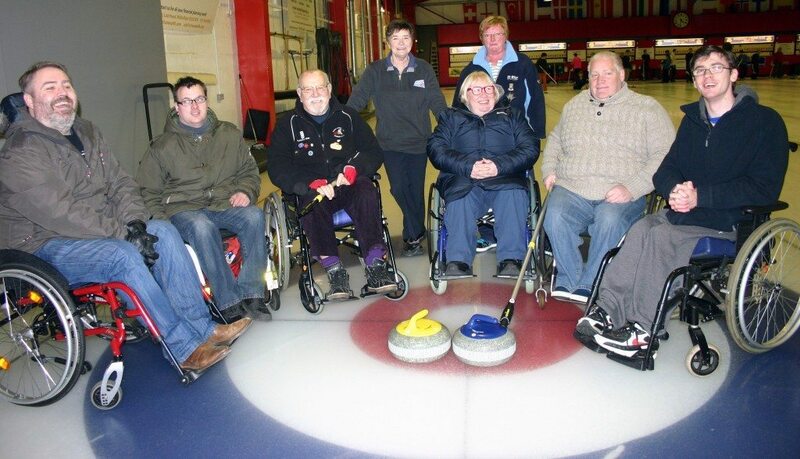 Our members love to welcome new curlers, we have coaches to help beginners, the emphasis is on enjoyment. Ages range from 30s upwards to 70s. Currently there are around 24 playing members. Please come and join in the fun. Membership is free for the first season; you only pay for the ice. Besides the curling we also enjoy various other pursuits together including nights out, golf day, quiz nights, Christmas party, etc. Give Alan a text or a call on 07966 558862 or email to find out more. Social Events We have golf outings, quiz nights, dining out, pub nights, etc. Times of Play Midweek evening and weekend daytime. Most of our internal club games are at the weekend but we also need players for midweek evening games.